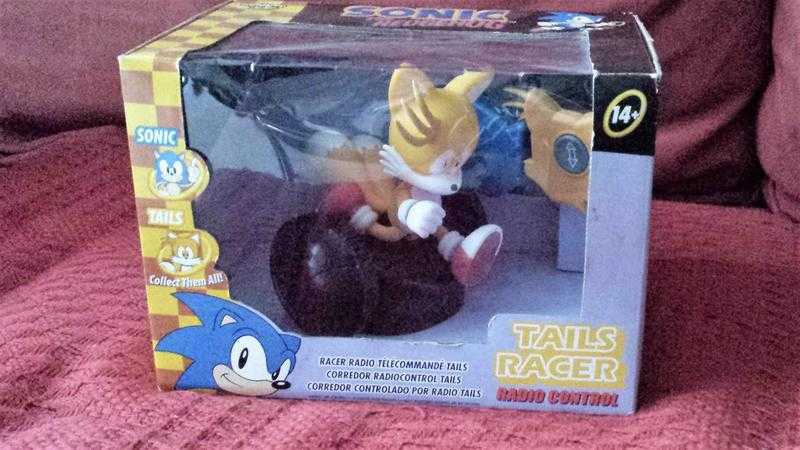 Here is a rare, new, sealed in box, unused, collectable Sonic the Hedgehog, remote controlled Tails Racer by Impact. As can be seen by the photographs, this is still sealed in the box, with the original price and discounted sale price sticker on the back. The box has some wear, mainly on the edges from handling and storage, plus a couple of small dents in the plastic window on the front but is in otherwise very good condition.